Employer Branding Best Practices is the seventh of a series of events on Employer Branding in Bulgaria. On the event we will share with the audience the best practices of some of the top global comapnies. Their representatives will share which techniques have managed to radically change the workflow and which have helped them improve their image to the world. 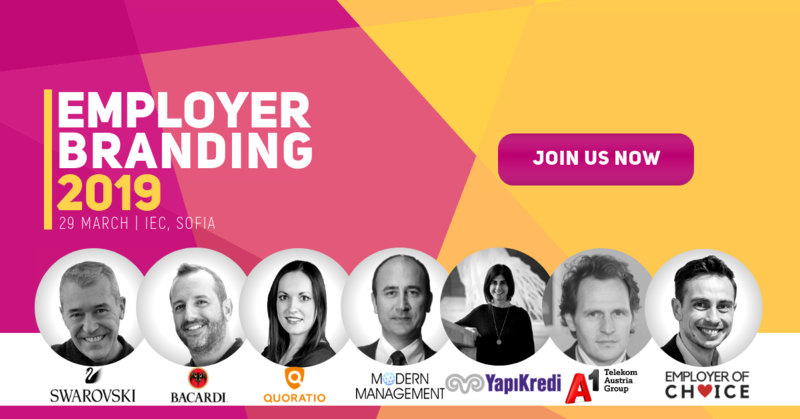 On March 29 expect proven professionals from some of the largest companies, who will share best practices in employer branding – what exactly they do and how to apply it! 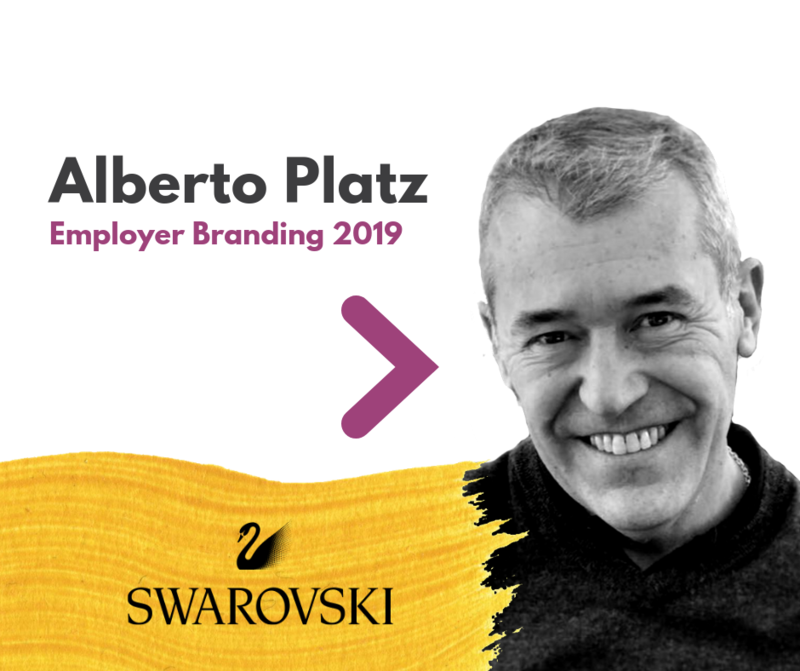 Alberto Platz is working for Swarovski for over 32 years – the first eleven years based in Barcelona selling their crystal components in the B2B area, managing the Spanish and Portuguese Markets and the next thirteen years for the Gemstones Business holding several positions as Sales Director in the European and Middle Eastern Territories. In 2012 he has joined the Corporate HR team as the Global Director of Engagement and in addition in 2015 he has took over the internal and external HR communication and the talent acquisition topics from a global strategic perspective. 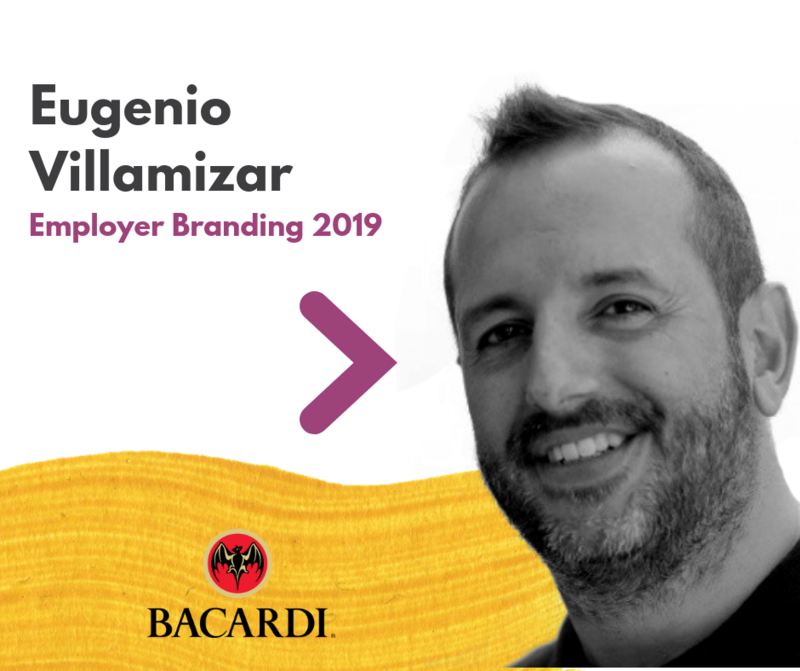 Eugenio Villamizar is the HR Director Iberia at Bacardi. He is Human Resources leader with a consolidated international and commercial experience. Develops strategy and drives execution with Leadership team to achieve desired, sustainable business results demonstrating effective leadership and as a valued team member. Strong ability to “connect the dots” and deliver a compelling story that is cross-functional, implies support and drive from all management levels, to successfully execute change. 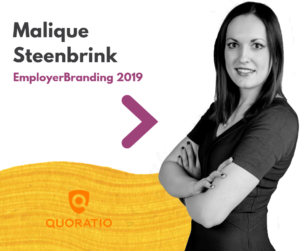 Malique is Employer Branding & Online Recruitment Marketeer. She is responsible for all content around a company’s Employer Brand, Employee Experience and the entire Employee Journey. You can also find her on social media. Malique took part of the organisation of Onboard.amsterdam – annual event which met over 800 attendees in 2018 focused at company onboarding processes. Her mission: to tell stories from the heart of the organization. She would love to tell you also more about recruiting, onboarding, transforming manpower in thinking and decisiveness ambassadors of your company. Ali Ayaz has traveled more than 50 different countries for various marketing and branding ventures, successfully completing various employer brand projects with multinational blue chip companies in the automotive, banking, fast-moving consumer goods (FMCG), IT telecom, and retail industries. 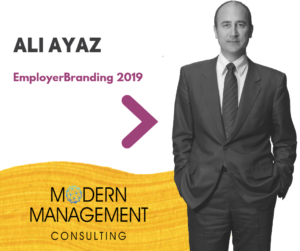 Currently, Ali serves as an Employer Brand and HR Consultant at Modern Management Consulting, London, where he is well-versed in not only employer brand development, but candidate and employee surveys, recruitment, and employee engagement. He also authored the book, “Secret Formula for an Authentic Employer Brand”, published in Bulgarian as well. 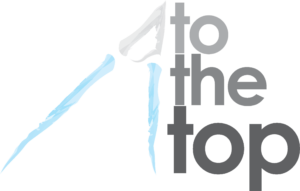 Ali is well known and favorite speaker to audience participated Employer Branding events in 2016 and 2017 in Sofia organized by ToTheTop Agency. Born in 1985, Jale Aktug was graduated from Galatasaray University, department of International Relations in 2008. After completing her master’s degree in the same field at Panthéon Sorbonne University with Jean Monnet scholarship programe in 2009, she started her career as a deputy advisor at Grand National Assembly of Turkey. Between 2011 and 2013, she worked as Internal Communication Specialist at Leroy Merlin Turkey. She worked at QNB Finansbank on Employer Brand Management and Projects between 2013 and 2017. She is Employee Experience and Employer Brand Manager at Yapı Kredi, UniCredit Group since July 2017. Why was started? What actions and strategy A1 Group did in order to develop EVP that matches the leader company in Central and Eastern Europe telecommunication? Today’s challenge is most about attracting and retaining the right talent. Storytelling is key and Employer Branding is important in every stage of the Employee Journey. Want to know how to turn your employees into ambassadors? On the 29th of March you will hear everything on how to hire for cultural fit, how to deal with content creation, distribution and adoption. Because people tell real stories and that makes your real Employer Value Proposition. Employer Brand main objective is to attract talent to apply to our jobs. The message however will create expectations to candidates that have to match reality.This is why it has to be authentic and must be confirmed by our employees first. The entire people management practices need to be in line with the Employer Brand message, from recruitment, to onboarding, performance management and development. And what will we do with those candidates that will be finally declined? Will they stay still potential consumers to us? What are the 10 topics that will boost you Employer Brand? A speech leaning on over 50 Employer Brand projects and 10 years of experience with various industries around the world! What is your aim? Who are you looking for? Who is your talent? 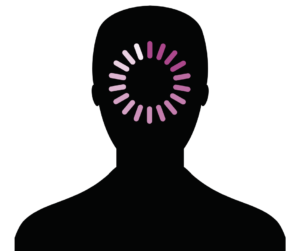 How to define target audience(s)? Where to start? How to understand needs and expectations of target audience(s)? How to define messages that will be delivered? Why and how to prioritize actions? How to set KPIs? How to monitor results? How to read out them? What do we need to become a successful employer brand? You could expect also: “How to do employer branding on a tight budget?” and “Why it is important to know the target audience? (a failure true story)” with examples. 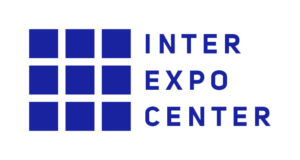 Official Host of Employer Branding Best Practices is Inter Expo Center, Sofia.